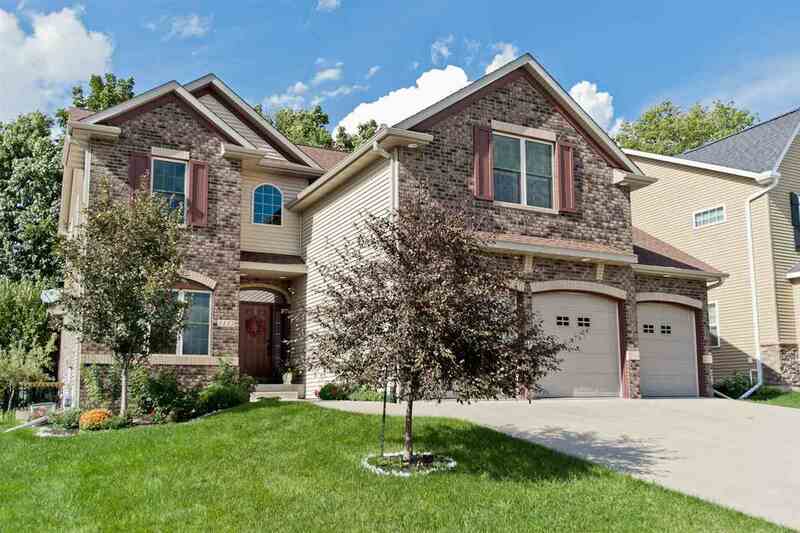 Feel the warmth of HOME as you enter this less than 5yr old east side 2-story. The open great room complete w/coffer ceiling, FR and grand staircase allow for all to gather whether dining, cooking or conversation.Inviting screen porch leads to park-like back yard:hammocks, forts, shade trees! Great Rm, FR, Den, 5 bdrs, 4 baths plus great storage in Prime location with easy access to schools, groceries & I80 NOW priced below currant appraisal and well below new construction costs.